Want to become a good parent? We understand your problems. Parenting was comparatively easy in the past. There is no doubt tech has provided parents with a lot of tools. At the same time, it has ruined teens and converted them into a generation that is alive but dead in a real sense. The biggest problem is for parents who want to grow responsible teens but can’t. It is true that menace and dangers of tech can be handled with tech as well. So improving digital parenting requires some efforts as well as actions. We are going to guide the parents on how they can improve their digital parenting, becomes better parents, grow good kids and increase the safe zone of their children. The guide is in the form of steps. That means, skipping any step will lead to the poor implementation of the plan. So make sure you follow this plan according to our instructions. Let’s explore the steps to good digital parenting. The first parents need to do for good digital parenting is to talk to the kids. What do you need to talk about with the kids? Ask about their health, education, how they are doing in their life. The purpose should be to befriend them, make them feel comfortable. Only then you can talk to them about critical issues. When the kids are comfortable with you, talk direct. Ask them to share the issue, what bothers them the most and if they have any problems. Talk about if they are bullied at school or online on social sites. There is no need to be angry with the kids. The next thing in the line is to become tech-savvy and educate yourself. In order to deal with the issue of your kids, understand their online problems- it is important to be aware of your own. Without understanding the current situations, it is not possible to become their saviours. What you need to learn about? There are certain crucial things like the use of the internet, parental control tools, teen monitoring software, and social media dangers for kids and how such things are being handled by parents around the world. When it comes to parental control tools, there are two options. First is to use the settings and features offered in the smartphones and tablets. Most of the devices now have parental control options for parents in order to allow them to restrict access to adult content and restrict screen time. The other option is using third-party apps like the teen monitoring app. 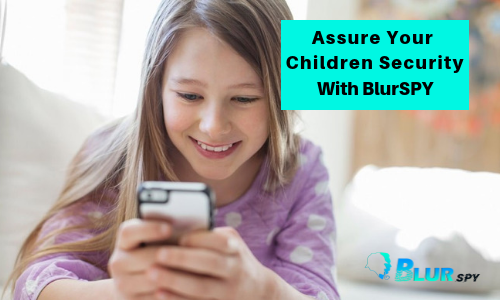 BlurSPY app, which offers all essential teen monitoring apps, is the best example of parental control software. Such apps are very useful to protect teens online, improve their safety, know about the online activities of teens and take appropriate measures for their better protection. There should be ground rules with the surety of their implementation. Making rules is easy but many people fail when it comes to the implementation. What sort of rules parent should devise? These can be regarding the use of the internet, smartphones and social sites. Everyone should follow the rules. An adult should inspire the kids and children by following these rules. Parents can be the best example in this regard to show their teens how they can follow the internet use, smartphone and other rules for the safety purpose. It has been seen kids, as well as parents, don’t add each other on social media sites. Even kids block their parents. Why? Because they know the parents will find about their social media activities. What parents need to do in this regard is to become friends of their kids. Parents should also follow the kids to see what they share online, what kind of people they add as friends and what sort of content they access. These things will help parents understand the kids and improve their online safety. Another innovative idea for the parents is to allow teens to use social sites in their presence. Parents and kids should access the social media account of the tens. Parents will learn about the taste, likes and dislikes and other important things. Then parents can take further steps for modifying the internet and social media habits of their kids. Parents can only make better decisions when they know their kids. Important and informative content about social media disrupting teenagers and research works should also be shared with children. Lastly, parents need to be the role models of their kids when it comes to the digital world. What sort of kids you want to have is what you should show to your kids? What you do will inspire your children. Become their role models, show them the right directions and set examples for them. You can only then ensure better kids who will be responsible in the future. Digital parenting is undoubtedly the hardest job. But parents can set rules, use a phone spy app, set examples for better online presence and know about the online activities of kids. This is the only way to protect kids and improve their digital safety.